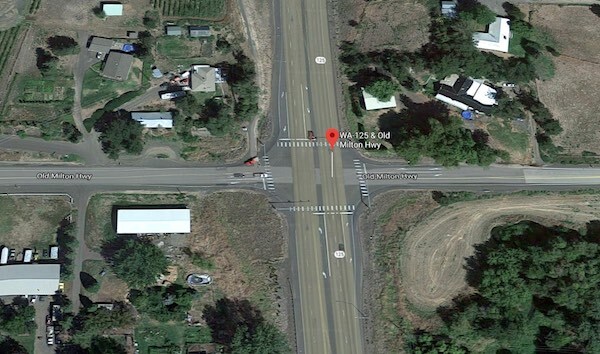 A woman was killed and four others, including two infants, were injured in a four-vehicle collision on State Route 125 outside College Place in Walla Walla County on Monday morning. According to the Washington State Patrol, the incident occurred around 7:15 a.m. A 38-year-old Walla Walla woman driving a Nissan Xterra was driving southbound on SR 125 approaching Old Milton Highway. A 27-year-old Oregon woman in a Volkswagen Passat and a 24-year-old Oregon woman in a Volkswagen Jetta were stopped at the traffic light. A fourth vehicle, a Hyundai Sonata driven by a 23-year-old Walla Walla woman, was heading eastbound on Old Milton Highway. She had the right of way at the traffic light crossing SR 125. The Nissan Xterra ran the stop light and struck the Sonata in the intersection. The Xterra then struck the Passat and Jetta. The woman driving the Sonata was declared dead at the scene. She was not wearing a seat belt. Two infants in her car, a 1-year-old girl and 3-month-old boy, were injured and transported to Providence St. Mary Medical Center in Walla Walla. The other three drivers were also taken to St. Mary Medical Center. No drugs or alcohol are believed to be involved. Charges are pending and the accident remains under investigation. 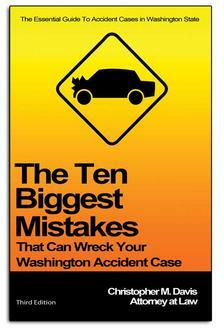 There is a misconception that anybody can recover damages after any type of fatal car accident. This option is only available to surviving loved ones if there is evidence that another driver was responsible for the accident. If you or an attorney have this evidence, and can prove to an insurance company or in court that the driver was negligent, intentionally dangerous, reckless, or otherwise caused the crash, you may be entitled to financial compensation. If you don’t have this evidence, you are unlikely to recover damages. Washington state has a particular set of comparative negligence laws — also called comparative fault — for scenarios where liability may be shared by multiple parties. These laws mean there is no strict threshold of fault that a claimant must meet in order to bring a claim. While personal injury claimants in other states can be completely barred from pursuing a claim if they are found to be even one percent responsible for their own injuries, Washington's laws allow claimants to pursue a claim even if they were up to 99 percent responsible. At Seattle-based Davis Law Group, P.S., our attorneys deeply understand how suddenly losing a loved one can affect your life. While you are trying to grieve and care for your family, you are forced to pay for a number of expenses. Your life may never be the same. To help you face the future after a fatal accident, our legal team can investigate the crash, gather evidence of liability, and help you gain the maximum compensation possible.